Standing high on the bluff of a bush-cloaked ridge, commanding panoramic views over the endlessly rolling reaches and volcanic reefs of the Serengeti National Park, Kirawira Camp is the epitome of colonially-styled safari luxury. Designed in typically Edwardian style, it features an elegant central meeting tent evocatively furnished with a tasteful selection of chintz-covered chaises longues, jewel-hued Persian rugs, antique escritoires, wind-up phonograms, leather-bound travelling cases, brass shooting sticks, carved rocking chairs, and stud-backed smoking chairs. 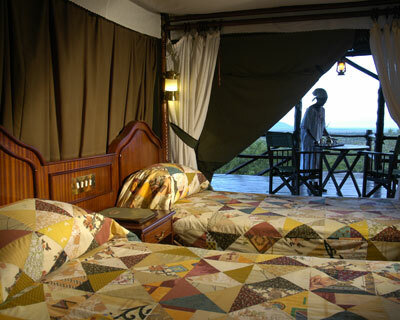 The tent at Kirawira Camp also incorporates a stained-glass and mahogany Edwardian bar and a stone flagged, khaki-and-canvas ‘Sun downer’ terrace looking out over gently sloping acacia groves towards the lilac-grey hills and lion-gold plains of the Serengeti’s Western Corridor, scene of the thunderous theatre of the million-strong wildebeest migration. 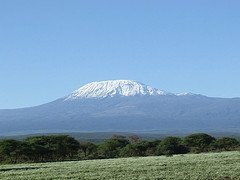 As for camp views, from lilac-streaked sunrise to diamond-domed night, the searingly sensational Serengeti delivers a series of timeless volcanic vistas that are second to none. 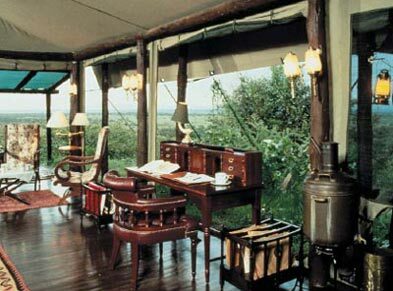 The essentially colonial ambiance of the tented-rooms evokes colourful memories of the famous safaris of days gone by, when such romantic figures as Teddy Roosevelt and Edward, Prince of Wales indulged in lavish East African shooting safaris of unrivalled elegance. 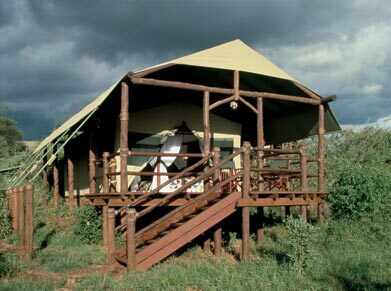 Each room has a personal valet and has been accommodated in a spacious canvas tent, erected on raised platforms of rope-lashed logs and sheltered by a bush-thatch roof. The décor is a clever blend of classic opulence and camp practicality featuring generous four-poster beds, hand-made patchwork quilts, steamer-trunk wardrobes, brass lamps, sepia photographs and rosewood escritoires, whilst to the rear of each tent is an elegant mahogany-panelled bathroom with twin marble washstands, polished brass fittings and classic black-and-white tiled Edwardian shower and lavatory. 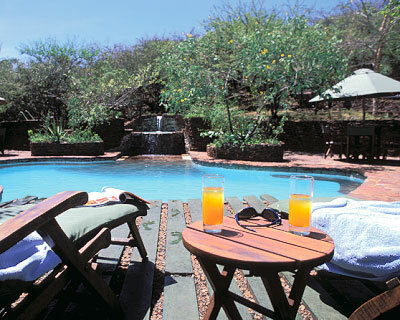 The lodge offers 25 luxury tents, each with a private terrace and personal valet (5 King Size and 20 Twin Bedded Tents). In keeping with the theme of colonial opulence, the elegant dining tents feature Edwardian-styled dining furniture, sprung floors, crisp-starched napery, delicate blue and white china and weighty silver accoutrements, whilst the staff are attired in classical colonial ‘mess’ uniform of white Swahili robes and turbans. - Elegant dining tents, extensive wine lists and sumptuously creative menus.